Aon Risk Solutions' Professional Services practice is Aon's unified global team of insurance brokers, reinsurance brokers and insurance consultants/advisors dedicated solely to serving professional service firms. With specific expertise in the accounting, legal, consulting, and design professions, we help our clients manage the entire spectrum of their business risks. The professional services team is comprised of over 200 specialists located in client service centers in Canada and around the world, including Global Broking Centers in London and Bermuda. 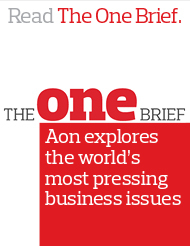 Aon is the only broker with dedicated loss prevention and risk management specialists for professional service firms. Our loss prevention services are carefully tailored to our clients&apos; needs based on our team&apos;s substantial experience. Our industry-leading practitioners include dedicated claims advocacy counsel and claims collection specialists. We have collected over USD 6 billion in professional liability claims on behalf of our professional firm clients, more than all other insurance brokers combined. We leverage our unique and extensive knowledge of issues relevant to professional service firms, our market access and expertise, and our integrated global service delivery to benefit our clients. Aon Professional Services focuses on the individual client, with the power to solve complex problems with customized solutions.